Gujarat polls: Lion's share for Patels will satisfy Hardik? 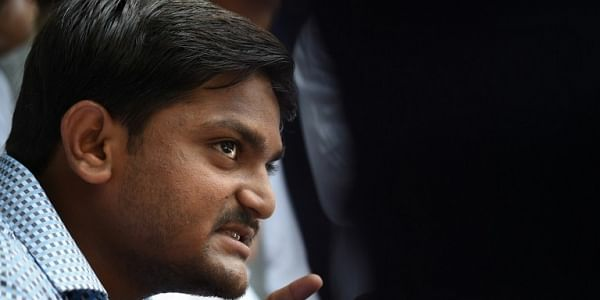 AHMEDABAD: The Congress released its first list of 77 candidates for the Gujarat Assembly elections on Sunday night, after clinching a crucial deal with the Hardik Patel group amid hectic, last-minute bargaining. Beyond the 14 MLAs who have been repeated, the striking fact is that 25 Patel leaders have been chosen. Two of them, Lalit Vasoya and Amit Thummar, are leaders of the Patidar Anamat Andolan Samiti (PAAS), the group led by Hardik that has been agitating for reservations for the Patels. A strategy favouring the Patels is clear if one goes by the other numbers. There are also 12 Koli names, who are an OBC Patel subgroup important in South Gujarat, while only eight other OBCs figure in the list. Also, there are just two women in this list of 77 — lesser than the BJP, which has fielded four till now. Women are expected to be a crucial component in the elections. Hardik Patel was quick to put his weight behind the list. “We have reached an agreement; more details on Monday,” he said cryptically, speaking in Dhrol, in the western Jamnagar district, where he was addressing a rally of the Patidar community. The more contentious issue relates to extending the benefit of OBC reservations to Patidars, which has been a key demand of the Patidar agitators. It is still unclear if the deal involves including Patidars within the existing 27 per cent OBC quota or if it would be a separate quota. Hardik is likely to be short on the exact details during his rally in Rajkot tomorrow. Will original OBCs get alienated?